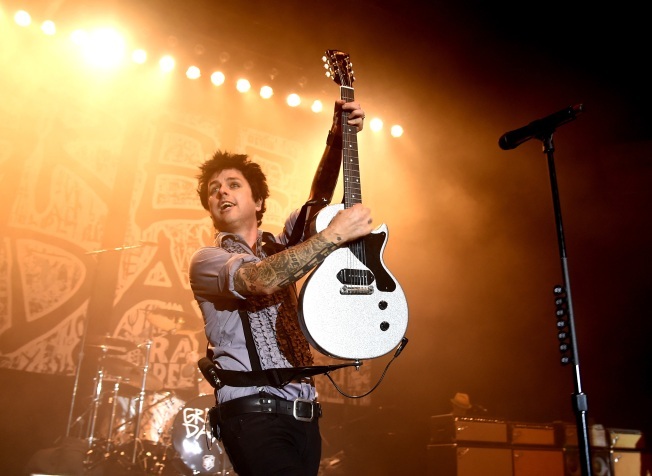 Musician Billie Joe Armstrong of Green Day performs at the Hollywood Palladium on October 17, 2016 in Los Angeles, California. East Bay-rooted Green Day has the hottest selling album on the Billboard Top 200 album chart. Coined "Revolution Radio," the recently released collection marks the third time the nearly 30-year-old rock band has climbed to the top of the charts, according to the band's public relations agency. Green Day, who is slated to play a sold-out show Thursday at the UC Theatre in Berkeley, kept to its traditional angst-laden style while recording this 12-track album in Oakland, the band's public relations agency said. Aside from jumping to the top of the charts in the United States, "Revolution Radio" peaked in five other nations around the world. Green Day has captured a total of four Grammy Awards during its history, including two accolades for composing the best rock album of the year in 2009 and 2004.